Far from being simply a "western," The Drop Edge of Yonder focuses on a time that could be considered the starting point of American capitalism and expansionism, and has led Judith Thurman to refer to the book as "a subversive modern novel about the bounds of love and the discontents of civilized life." 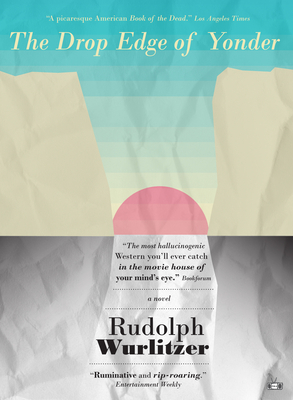 Rudolph Wurlitzer is the author of Nog, Flats, Quake, and Slow Fade, and a non-fiction book, Hard Travel to Sacred Places. He has written numerous screenplays, including Pat Garrett and Billy the Kid, Two Lane Blacktop, and Walker.